Another Park Shin Hye? Alright, bring it on! Two unlikely candidates become journalists covering social affairs. 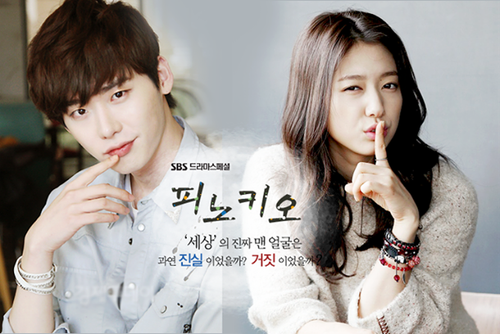 One of them, Choi In Ha is inflicted with the pinocchio syndrome, which makes her hiccup whenever she lies. Choi Dal Po, her adopted “uncle” also joins this profession but has declared his strong hatred of the journalism world again and again. Can these two get along? More importantly, will they stay strong together despite the clear obstacles standing in their way? he looks like a thousand times better without the hair!!! Yeah, I know, I’ve been behind with my first impressions, but I did watch all these shows when they premiered! 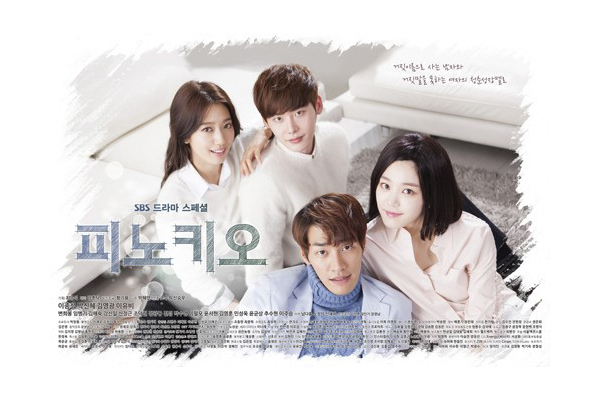 To be honest, Pinocchio didn’t strike me as a fabulous new series that I really want to follow all the way through. It is not a fluffy romcom, but I’m not sure if it will get super intense and serious later on so that easily puts this in an ambiguous midway situation. There is definitely revenge and schemes and all that juicy pieces which promise to be engaging if done right, but maybe I’m just all PSH-ed out? I do love the first episode for evoking in me the strong emotions it was trying to get at. I sympathized with Ha Myung/Dal Po’s family so easily it was like melting butter. 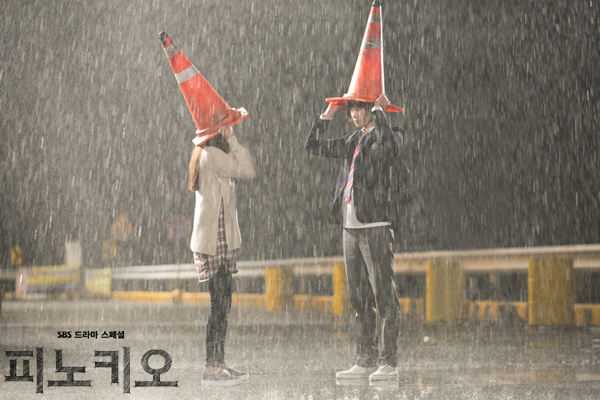 I loved them and pitied them, and all that fueled my vehement dislike of Jin Kyung’s character. I know full well that this is a plot device and I saw it from miles away (I’ll let you guess who In Ha’s mom is), but it didn’t stop me from falling in the traps. I mean this is clearly an intentional set up, and it is without a doubt an attempt at the whole star-crossed lover plot line. Only so far in the series and we already have a giant hurdle for the OTP to get over. Park Shin Hye is what you would expect. I loved her in You’re Beautiful but I feel like her acting just has not improved since. She’s a good safe bet because she is popular and her acting is relatively solid, but she just doesn’t do it for me any more. As awesome as she is, her acting is forever static and emotionless. I just want some rawness, Shin Hye! Where is your beating heart? Perhaps I am biased, because let’s be honest, I really loved You’re Beautiful for Jang Geun Suk. Maybe I was never a Park Shin Hye fan to begin with? Unfortunately I have not seen anything with Lee Jong Suk in it before, but he did win some drama awards in 2013, so there’s that. He has been alright so far – nothing out of this world, but also nothing too faulty. He feels like another idol star, but maybe he will step it up to justify those two awards? will he end up on our bad hair post #2? Kim Young Kwang is also in this, but he has yet to make an appearance in episodes 1 and 2. I do like him a lot, so I hope he does not disappoint. Overall, this is a series that I would keep watching until something better comes along. It’s neither a fun piece, nor is it a cannot-be-missed series. If you are a huge PSH fan, then you will like this, but everyone else who decides to pass probably won’t be missing much. Park Shin Hye recently starred in hit series The Heirs with kdrama star of the year, Lee Min Ho. She is also set to play queen in historical film The Royal Trailer, to be released in January 2015. Lee Jong Suk rose to popularity in School 2013 and followed with two successful dramas, I Hear Your Voice in 2013 and Doctor Strangers earlier this year. Recently he has been labeled one of the “Fantastic Four of Hallyu” along with Kim Soo Hyun, Lee Min Ho and Kim Woo Bin. Well, that’s some company you want to be in with! Kim Young Kwang was recently in Plus Nine Boys. He was also in romcom film about Korean teens, Hot Young Bloods at the beginning of this year. Lee Yu Bi is the daughter of actress Kyeon Mi Ri. She lent her talent most recently in 2013 hit Gu Family Book. She is also a graduate of Ewha Womans University with a major in voice acting.